Fun Features & Big Benefits - Unique, colorful animal flash card illustrations - Letters written in bold, block-style - Upper- and lowercase letters divided by adult and baby animals - Thick, glossy cardstock - Rounded corners for easy sorting - 3 Index Cards for easy reference - Parent card offers game instruction and activities - A great value! 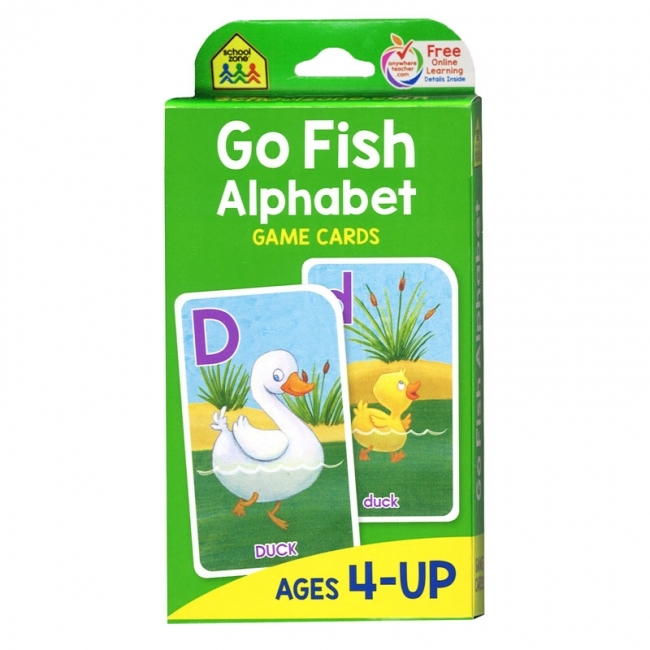 Little ones will enjoy playing a smarter version of Go Fish. In this case, winning involves drawing the most upper- and lowercase letter pairs. Here, each pair is represented by a parent and child animal. There are even age-appropriate terms, like "hatchling" for baby alligator. With activities for two or more players, Go Fish emphasizes turn-taking and cooperation. 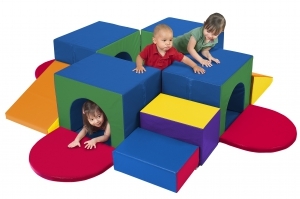 Or, kids can have fun matching letters and creating words on their own. Involve your child in these valuable pre-reading skills today and make school all the more enjoyable. Fun Features & Big Benefits - Unique, colorful animal flash card illustrations - Letters written in bold, block-style - Upper- and lowercase letters divided by adult and baby animals - Thick, glossy cardstock - Rounded corners for easy sorting - 3 Index Cards for easy reference - Parent card offers game instruction and activities - A great value!